The Gears of War 4 Pro Circuit, which kicked off in Columbus on November 25th and hit London this weekend past, has a total prizepool of over $1 million, and will be stopping in cities worldwide. It’s undoubtedly a big few months for Gears esports. Of course Gears of War in esports is nothing new. It was one of the original esports titles back in the day between the release of the first installment and the second, around 2008 to 2009, but this was in a time before Twitch meaning it didn’t get the global spread that others since have. It’s now back from its lengthy hiatus. The Coalition, the game’s developer and subsidiary of Microsoft Studios, toyed with esports with Gears of War Ultimate Edition in 2015 but with 4 they’re going all out. There is a space for a third person shooter in competitive gaming, and moreover this is a franchise which has retained an impressive fanbase. It’s one which remains passionate to this day, and with the addition of new competitive features such as Escalation mode, Gears of War 4 is focused on making a serious bid to the strong esports scene it has long deserved. The Coalition is working with event organisers MLG and Gfinity for the Pro Circuit Series. So far the winners of both Columbus and London has been team-on-fire OpTic Gaming, which means the North American outfit has taken home a combined $270,000 thus far. We spoke to Adam Fletcher, Director of Community Engagement at The Coalition, on the potential of Gears esports. 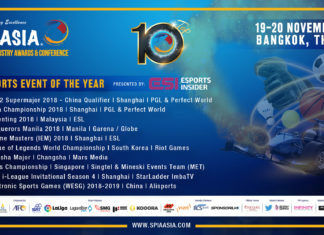 For those unable to make it in person, the Pro Circuit will be live streamed across platforms, including one that isn’t currently so well known in esports; Beam. On the topic of live VR streaming, which has been used for some competitions this year and would be a fantastic fit for Gears, Fletcher stated that whilst this is something that they feel “definitely has a lot of potential” it’s not something they’re launching into quite yet, and will play the wait and see card. The Pro Circuit heads to Mexico City after London, then back to Columbus in Spring next year, then onto Paris before a grand finale in Las Vegas in the summer. Fletcher stated: “Las Vegas is the ultimate highlight reel city. It’s the home of grand boxing matches, and UFC fights, and to an extent it’s UFC we’re trying to emulate with how we push and market Gears esports. Esports Insider says: Gears is a fantastic franchise and with the Pro Circuit underway and with the support of Gfinity and MLG it should generate a lot of attention. The final night in Vegas certainly won’t be one to miss.